Once you have received the essay from the host family, complete the nomination form and make sure you send it in before our deadline of Friday January 19th 2019! Please note that we can only accept up to three applicants per organisation. The receiving (placing) agency should send in the application. Please upload the essay received from the host family in PDF format. Please upload at least one picture of the au pair in the family environment and one picture of the au pair. Note: These can be used on the IAPA website. Note: You can upload up to 5 images with a maximum size of 10MB. 2. AU PAIR DETAILS Please provide the details of the au aupair. Please provide the details of your organisation. Please provide us with details of the sending partner organisation. 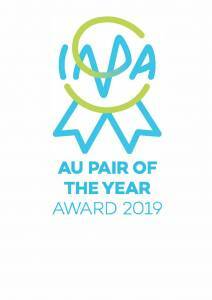 Please make sure the host family has signed the consent form and has given permission to you and IAPA to use their essays and photos as well as limited other personal data for the Au Pair of the Year Contest. Please understand that we can´t accept submissions without this consent.